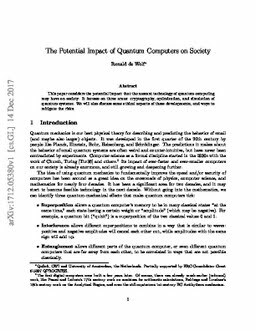 The potential impact of quantum computers on society. (2017). The potential impact of quantum computers on society. Ethics and Information Technology, 19(4), 271–276.